Have you been thinking about getting an eReader? 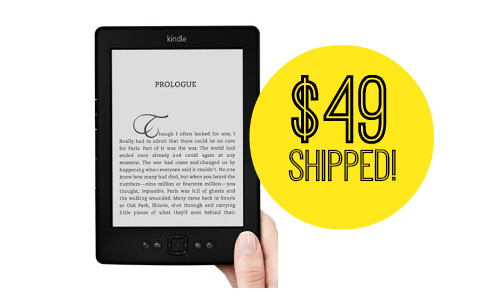 Amazon is currently offering the Kindle with Wi-Fi and 6″ display for $49 shipped (regularly $69)! Kindles are small, lightweight, and are able download eBooks via Wi-Fi in 60 seconds. There are millions of titles to choose from! If the lady in your life loves to read, this could be a perfect Mother’s Day gift. This Kindle can hold over a 1,000 books and is accompanied with excellent reviews. This is a limited time offer. Shipping is FREE.